Is this the best kept secret in 2-Way Radio Communication? The Multi-Use Radio Service, or MURS, is an unlicensed radio service that allows for personal and business communications on five VHF channels. So what’s the amateur radio connection to MURS? 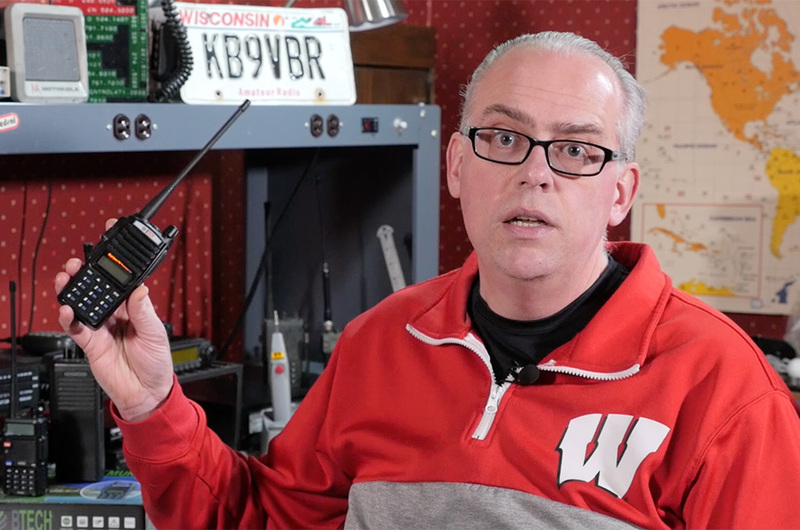 If you are a involved with an amateur radio emergency communications group, you will want to add the MURS channels to your arsenal of communications methods. We’ll talk more about that in a bit, but first, we’ll dig into what MURS is. According to the FCC, The Multi-Use Radio Service uses channels in the VHF 151-154 Mhz spectrum range. The most common use of MURS channels is for short distance two-way communications using small, portable hand-held radios that function similar to walkie talkies. MURS is authorized five channels that were previously in the industrial and business radio service, known as the itinerant and ’color dot’ frequencies. This radio service is similar to the GMRS and FRS radio services, but there are some important distinctions. MURS uses five channels or frequencies. Three of them in the 151 Mhz range have a narrow bandwidth of 11.25 kHz and the other two in the 154 Mhz range use the wider 20 kHz bandwidth. When you program your radio, make sure you use the correct bandwidth as the wrong choice can affect audio quality and possible cause interference with adjacent channels. MURS radios are also limited to 2 watts of transmitter output power. That might not sound like a lot, but in most cases, 2 watts is more than enough for local short range communications. The good news, though, is that you can connect an external antenna to the radios, so you can increase the range or distance of your MURS radios with a good quality base antenna. In normal circumstance, expect less than a couple of miles with your handheld radio and with a base antenna, you can increase that range up to 8 or 10 miles. Repeater use is not allowed on MURS channels. Now I mentioned that MURS is an unlicensed personal and business radio service. None of the channels can be reserved for the exclusive use of any user. But there are some previously licensed commercial users that are grandfathered onto the MURS channels, so don’t be surprised if you hear regular business communications on certain channels. If that happens, just find an alternate channel or use a tone code to filter out their transmissions. Transmitters need to be certified to use on the Multi-Use Radio Service. So your Baofeng, even though it can be programmed for these channels, can’t legally operate on them. I don’t advocate their use on the MURS channels. Instead I recommend you use a type accepted radio, like a commercial VHF handheld, or the Btech MURS V1 handheld radio. This inexpensive handheld is type accepted for the MURS channels, is easy to use, and has a removable antenna, so you could connect an external antenna to it. So what’s the difference between MURS and GMRS/FRS. The big difference is that MURS is a VHF service and GMRS and FRS are UHF. VHF frequencies have some advantages in propagation, especially if you are using them outdoors or in a wooded environment. GMRS and FRS are intended for personal communication and MURS can be used in business or personal settings. Also GMRS requires a license and MURS is license free. FRS is license free, but it has a limited power of 500 milliwatts and a non removable antenna. Since FRS and GMRS are quite popular with countless cheap blister-pack radios available, you’ll find their channels more used than the relatively quiet MURS frequencies. And this brings me to my point to why MURS is a good addition to your amateur radio emergency communications arsenal. Having a few MURS radios that you can pass off to unlicensed individuals brings them into your emergency communications team. Let me give you a case study. 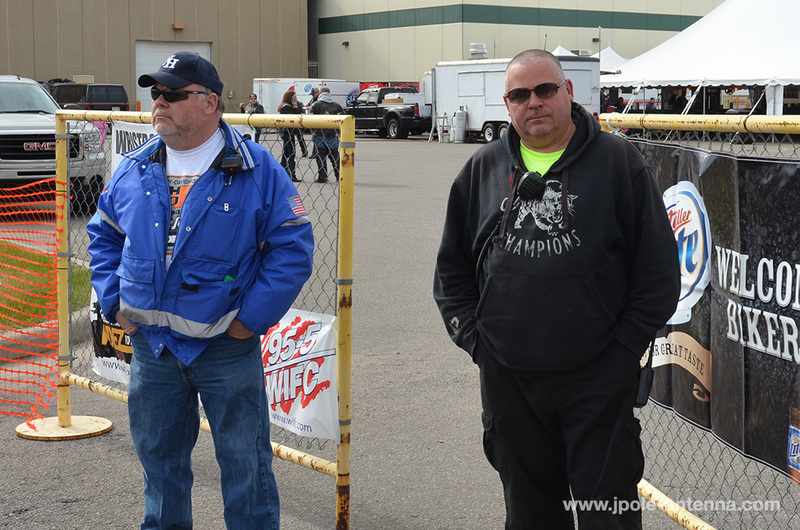 Our emergency communications group works with a local motorcycle dealership to provide communications support for their annual fundraiser and rally. Our team uses amateur radio frequencies to coordinate a parade of 500 plus bikes and for health and welfare communication during the evening activities. We also have a half dozen MURS radios that we pass out to event organizers for their communications needs and to communicate with our team. 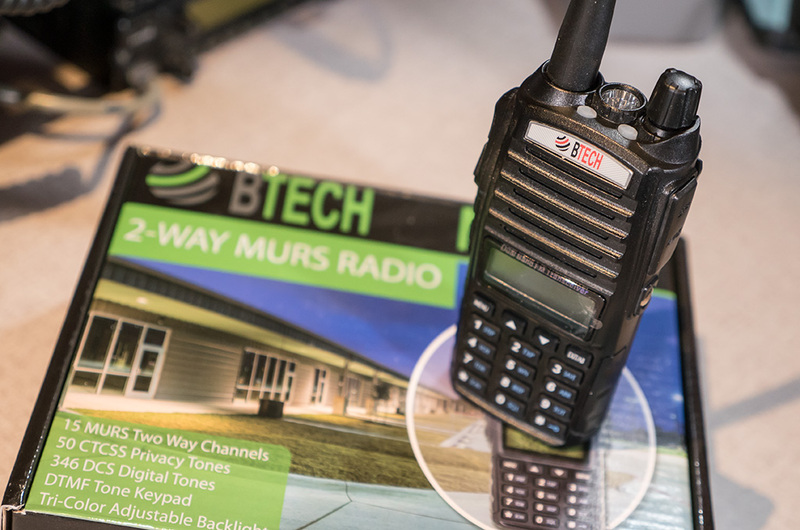 Since they are unlicensed, the MURS radios fit perfectly for their needs and as a emergency communications team, we can provide the instruction and discipline so they can use the radios effectively. As an emcomm group, being able to provide trained communicators and equipment is a big win for supporting these events. So if you are looking for a way to bring added value to your served agencies or community groups, consider investing in a handful of MURS capable radios so you can better integrate into their communication structure. Have you used the Multi Use Radio Service? Please share your experience in the comments below. For the past seven (7) years our local amateur radio club – Victoria Amateur Radio Club (VARC – https://www.facebook.com/VictoriaAmateurRadioClubVarc/) provides communication and safety services for the Family Outdoor Expo (www.familyoutdoorexpo.org). Over the last couple of years, we have seen interest and participation from unlicensed volunteers that bring additional skills to our team. We assign these volunteers to liaison roles with law enforcement (LE), emergency medical technicians (EMT) and net control assistance. In the past, we have provided these liaisons with scanners to monitor the transmission of the licensed frequencies to keep them engaged and aware of the radio traffic during the event. After reading your blog on the use of MURS frequencies, we placed MURS radios in the hands of the LE/EMT Liaisons. The Net Control Operator can now communicate with the licensed operators using the amateur radio frequencies and with the LE/EMT Liaisons using the MURS frequencies. •	Create an emergency exercise for the volunteer amateur radio operators using amateur radio, operational periods, practice tactical call signs, etc. Thanks for sharing. You put into action exactly what I was saying. Leverage the experience of your hams to train the other volunteers in the proper use of radio communications. Let me know how the event turns out. Maybe we can do a followup video/blog post.